Please Note that the OPEN Hours should read: Monday 10 am to 6 pm; Tuesday & Thursday 10 am to 8 pm and Saturday 10 am to 5 pm. Please, join us for the fun!! This entry was posted in Library Events and tagged Board Meeting, Book A Librarian, community library, Crazy 8's, Moving Day! 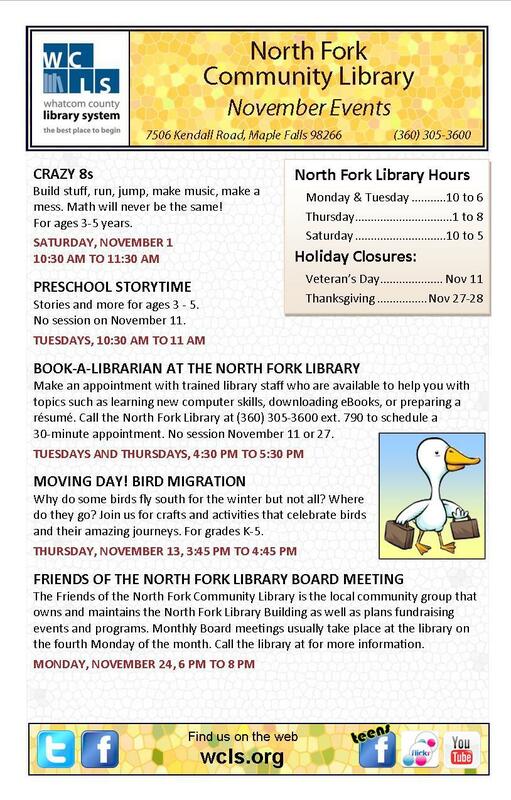 Bird Migration, North Fork Community Library, Preschool Storytime. Bookmark the permalink.